For any woman struggling with how to spend her time and energy, reading The Best Yes is a great place to start! 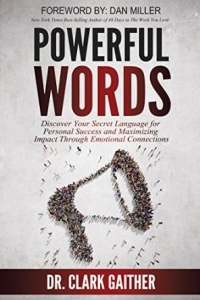 Lysa TerKeurst does a great job of unpacking the power of two little words: yes and no. Recognizing the frantic and frenetic pace of the modern, American woman, TerKeurst challenges the reader to believe there is more. And it starts with small no’s and best yes’es. In a conversational, casual style, she offers real life illustrations and simple, workable processes to find both. A prolific author and founder of Proverbs 31 Ministries, TerKeurst has provided another great resource in The Best Yes for busy women of all ages who long for more. Tom Rath, researcher, writer, speaker, scientist, Gallup advisor, cancer survivor and author of StrengthsFinder 2.0, has written one of the most practical books of all time. If your health and physical well-being are important to you, this book needs to be on both your bookshelf and your annual reading list. Rath clearly lines out behavioral, physiological, medical – frankly every “al” you can come up with – reasons and data to support the need to eat, move and sleep well. Whether you are a novice or seasoned connoisseur of information on physical health you will find this text easy to read and highly motivational. Rath writes short, pithy chapters that will compel anyone to want to live well, simultaneously providing a multitude of simple, practical steps to make good living a reality. As the subtitle describes, the author offers hard evidence to support how the smallest, most manageable of choices can create huge changes in any and every life. Looking for the perfect stocking stuffer that will position your loved one for their best year ever? This is the one! Dr. Larry Crabb, renowned Christian author, speaker, teacher and psychologist, has written one of the most profound books ever. Drawing from his own story of shattered dreams, and unpacking Naomi’s story from the Biblical book of Ruth, Crabb brings to light God’s sovereignty in the midst of pain. Although this text was referred to me almost 10 years ago, I have finally taken the time to dive in. It has become my number one recommendation for friends and clients who are struggling to understand why God allows suffering in our lives. For many years, I did the right thing, believing that following the rules would result in blessings. But this was not to be. I have come to see clearly that life is about being IN the struggle. Remaining IN the tension. For that is where He lives. Waiting to bless us as we discover our incomparable need for Him. This is where joy resides. Crabb brings this to life as few others are able. Back in February 2015, I had the opportunity to attend a week-long Caribbean cruise with a business group of close to 90 people, making up a small portion of the close to 2,000 total people on the ship. Unfortunately, halfway through the wonderful time that I was having I began to feel trapped, uncomfortable in my own skin and on the verge of a full body panic attack. The beautiful scenery, the wonderful people and the delicious (and abundant) food were not able to soothe my soul. I am an introvert. A quiet, thoughtful introvert. An introvert who dislikes crowds, strangers, and small talk. An introvert who had willingly and excitedly signed up for a week long vacation of crowds, strangers and small talk. Thankfully, I was also surrounded by understanding strangers, one of whom recommended the book Quiet: The Power of Introverts in a World That Can’t Stop Talking by Susan Cain. In a world that is loud, crazy and of the opinion that you too must be loud and crazy to succeed, Cain shows proof through her storytelling that there is a place and a need for the quiet, thoughtful, introverts of the world. She weaves fact and research through stories of introverts like Steve Jobs, Steve Wozniak, Moses, Rosa Parks, Theodor Geisel a.k.a. Dr. Seuss, Charles Darwin, Einstein and Gandhi, just to name a few. She helps guide the introvert living in the extrovert world. She explains why you might struggle and stutter and flub an impromptu presentation, but if given a little time to prepare, you will rock the audiences’ socks off. She gives tips on how to get through a dinner party with your sanity intact and maybe even leave the party having made a new connection instead of having spent the whole time hiding in the bathroom (if you even got out of your car at all). Quiet explains the differences between the extroverts and introverts and provides proof that the world needs both. I began reading Quiet as soon as I set foot off the cruise ship. By the end, I walked away with a deeper understanding of who I am and an acceptance that it’s okay to be who I am. I also walked away with skills to adopt an extrovert mask when necessary without being deceitful of my true, quiet self. P.S. I salvaged that last half of the cruise by taking a little quiet time to myself everyday to recharge and had the most wonderful time! Just in case you were wondering! Several years ago, I was introduced to the idea of food allergies and intolerances. Not really understanding that foods could create symptoms in our bodies beyond those causing anaphylactic shock, I was to embark on a journey that would ultimately change my health and my life. I had been living with various physical symptoms that I never thought could have a common cause or be healed until I read this book. Many of which I wasn’t even aware of until they were gone! The authors have done a wonderful job explaining what food allergies and intolerances are. They clarify how an allergen creates inflammation in the body that causes symptoms like asthma, headaches, skin disorders, GI tract difficulties, fatigue and difficulty losing weight, to name a few. Finally, they complete the book by providing practical and necessary ways to promote permanent healing in the body. I wish I had found this information many years ago and that I had read the book in its entirety when I started eating to heal. This book will remain a resource in my library and on my recommendation list for years to come. 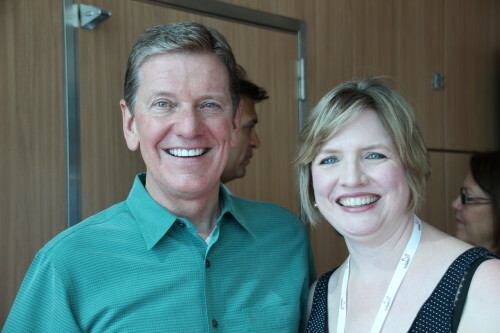 For the past 12 months, I’ve been hearing about Michael Hyatt everywhere I turn. And for good reason. Michael is former CEO of Thomas Nelson Publishing, the largest Christian publishing company. So he knows books and platforms, inside out. Since leaving, Michael has developed his own platform that appeals to hundreds of thousands of people around the world. I’ve had the pleasure of meeting Michael and learning from him about some of his basic platform building principles. The dedication of Platform says it all: To all the authors, artists, and creatives I’ve met through the years who have been turned away because they didn’t have a platform. This book is for you. Platform is, as the subtitle states, a step-by-step guide for anyone with something to say or sell. This couldn’t be a more accurate title. Each of the 60 chapters clearly and concisely lays out what steps can be taken to launch your platform. Michael is a fabulous teacher and his generosity in sharing every nitty gritty detail of what has and has not worked for him is astounding. I could not have found a more comprehensive resource to help me start on what could be a long, arduous journey. Although the work is still mine, Platform gives me the tools I need to add to my toolbox to get the job done. Soooo excited to meet Michael Hyatt! Genius.